The Environmental Protection Agency's calendar keeps turning. Auto manufacturers are on a deadline to raise their total mpgs. Most are pushing their engineers to come up with gas-sipping ICEs as well as alternative powertrains like electrics and hybrids. But in addition, they are also turning to lighter weight materials like carbon fiber. Though still extremely expensive, manufacturers and suppliers alike are looking at ways to make the product cheaper so it can go on vehicles of all ... See More prices. 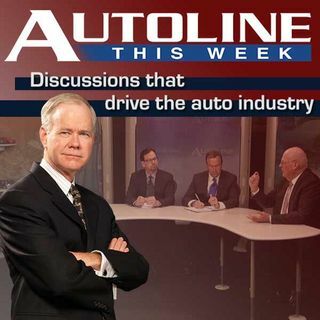 On Autoline This Week John McElroy welcomes three people from the carbon fiber world. Florian Schattenmann is the Global R and D Director for supplier Dow Chemical, Graham Henkel is the designer of the new Viper from Chrysler's SRT division while James Staargaard is the president of Plasan Carbon Composites.